The company was established in April 1993, 24 years ago being permanently established in Constantia, Cape Town. We have specialized in emigration to New Zealand for longer than any other company on the continent and we are the only company focused completely on New Zealand. Sharon Yerman, a founding member, is a Licensed Immigration Adviser and the Director of Operations. 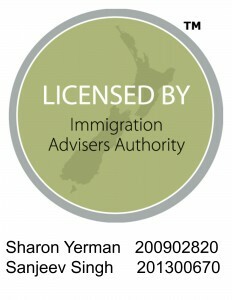 It is a New Zealand government requirement that immigration advisers be licensed by the Immigration Advisors Authority (www.iaa.govt.nz). No one may give immigration advice without holding a license. With a little over twenty two years’ experience in immigration to New Zealand and thousands of applications under her belt, Sharon is the ideal person to oversee the operations of the company. She is arguably one of the most knowledgeable licensed advisors around and her range of expertise covers everything from temporary and residence applications to major appeals when required. It is excellent to have him on board, especially when one considers that Sharon was the first person to be licensed in Africa. Sanj currently also serves on the IAA’s Steering Committee (as one of a handful of Advisers) advising on the new changes to the qualification that all potential immigration advisers must obtain. He is the only adviser on the Committee who is based outside of New Zealand. In addition to his qualification in the Graduate Certificate of New Zealand Immigration Advice, Sanj also holds both a B.A. Degree and an Honours Degree (Industrial Psychology) through the University of South Africa. He is also well-traveled of note, having been to 23 countries (and counting, in his own words), including New Zealand. Unsurprisingly, he views New Zealand as his favourite from them all! Sanj excels in customer service and knows first-hand what potential migrants can go through, having gone through the migration process himself, when he moved to the United Kingdom from 2005 to 2009. He says he very much looks forward to working alongside Sharon Yerman and drawing on her experience, which spans 22 years! We have processed thousands of visas and have many contact details of family’s only too happy to correspond with you regarding their process and new life in New Zealand. We offer free information sessions on New Zealand around South Africa. Our information sessions are based on one-on-one meetings where we inform you on what you can expect with regards to migrating to New Zealand. To qualify for this information session please complete the assessment form to see if you qualify to consider migration to New Zealand. Settlement New Zealand has launched its ePAK. This is the single largest resource available on the internet for migration to New Zealand. Hours of browsing and hundreds of links to information and resources on the internet, giving you the ultimate resource guide for decision making. To register for FREE, click here. In line with the change in the “Trading as” legislation in South Africa, we decided to change our company name and use one that clearly indicates our business focus. The former name “Forman Hendrikse Emigration Services” had been around for eighteen years and although well known in Cape Town for the services it offers it was relatively unknown in other parts of South Africa. The name “New Zealand Migration Services” does just that. The company prides itself at being the most focused New Zealand migration company in South Africa by specializing for twenty two years on that one destination. In addition to Sharon, our other director is Ian Yerman. Having held company directorships for some thirty years and been involved in this industry for ten years Ian takes on the responsibilities of Director – Marketing and Business Development. With his experience he will ensure that the company remains innovative and continues to add value to the services it offers. With this structure we are confident that it will result in “New Zealand Migration Services” being the market leaders in migration to New Zealand as enormous emphasis is being placed on leading edge technologies ensuring that our clients are given the very best service possible.